When does MotherFatherSon start on BBC Two, who’s in the cast with Richard Gere and what’s it about? MOTHERFATHERSON is a new BBC Two drama with an impressive cast, including Richard Gere. But what is it about and who else is in it? Here’s what we know so far… When does MotherFatherSon start on BBC Two? There is currently no release date for MotherFatherSon on BBC Two. It will start shooting this summer in London and on location in Spain. There will be eight hour long episodes of the original drama, which has been created and written by Tom Rob Smith. 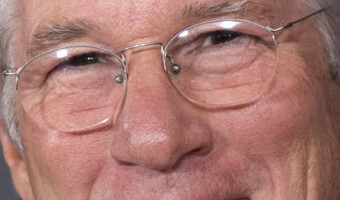 Who's in the cast with Richard Gere? Richard Gere is returning to TV for the first time in ten years for the drama. He is playing Max - a charismatic self-made American businessman with media outlets in London and around the world. Helen McCrory Peaky Blinders and Harry Potter star Helen is taking on the role of Kathryn. The 49-year-old is married to Damian Lewis in real life, and his portraying a British heiress who has been estranged from Max following the breakdown of their marriage some years before. Billy Howle Rising … [Read more...] about When does MotherFatherSon start on BBC Two, who’s in the cast with Richard Gere and what’s it about?